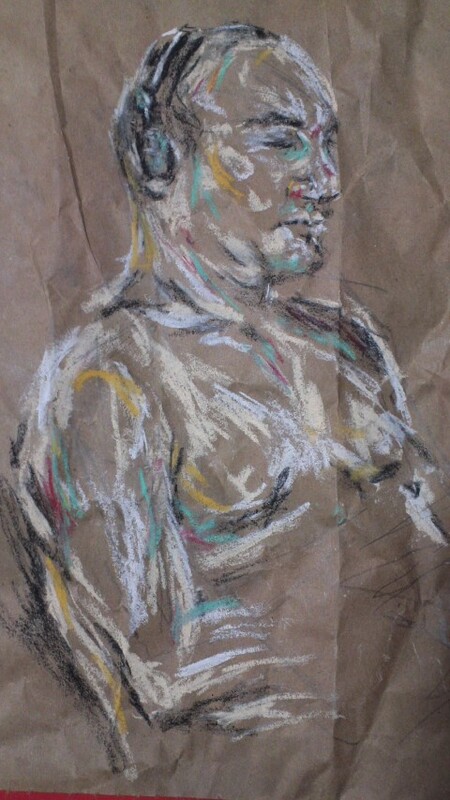 Since iHerb.com sent my order with brown paper for packaging, I decided to brush up on my drawing skills and pulled out my oil pastels. My husband edited his new book, Blubber Island, as I drew him, murmuring all the while,”No…” What do you think? This entry was posted in Art (芸術). Bookmark the permalink.